San Diego has had a great music scene for decades now; and in recent years, it’s only grown! New venues, including the Observatory North Park, have opened up all around the County, and the burgeoning “alt” scene has taken over. From live jazz and alt-indie rock to hip-hop and funk, America’s Finest City is ripe with live music of all shapes and sizes! 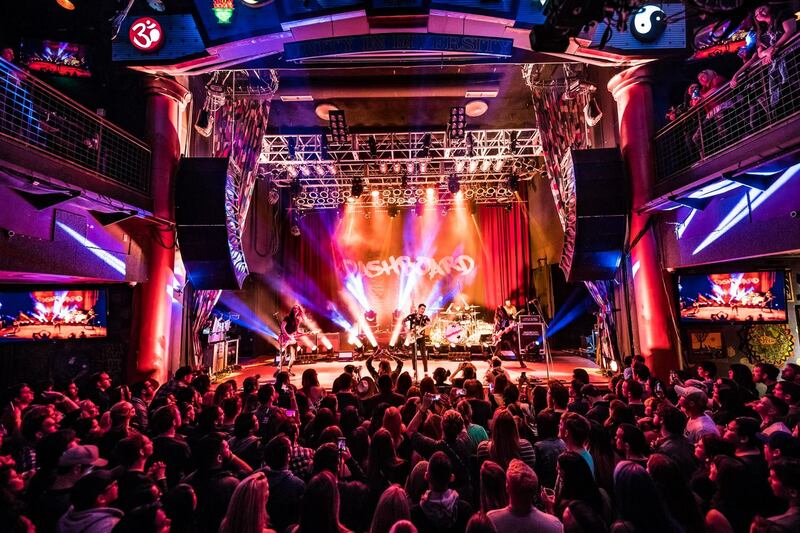 Here are the top concert venues in San Diego County spanning from downtown all the way to fun venues and things to do in North County. The Casbah, arguably San Diego’s most authentic rock club, recently celebrated its 25th anniversary. This is a great place to catch big names on their way up the totem pole – legends such as Nirvana, The Arcade Fire, and Rocket from the Crypt have all graced the Casbah stage before hitting it big. The intimate venue (200 person capacity) includes an enclosed smoking patio; a back room with pool tables, pinball and the classic video game Galaga; and a full bar. The original home of the North Park Theatre, The Observatory North Park offers a cool, vintage vibe and top acts. Located just behind West Coast Tavern, concertgoers can first enjoy the gentrified North Park neighborhood before rocking to a show. The theatre was built in 1928 and has now been fully renovated to include a new tiered and open floor with room for 1,100 concertgoers. The Belly Up Tavern is a dynamic all-genres club that’s been around for decades, and is a beloved local staple in Solana Beach: one night may be rocking in tribute to Johnny Cash while the next is mellowed out with the singer-songwriter sounds of Donavon Frankenreiter, and it’s definitely the best place to see non-mainstream music acts. Sight lines can be a bit difficult with the odd building layout, but the place definitely has the cool factor down. It also has the flexibility to be the setting for rocking out or providing a more intimate atmosphere depending on who’s performing. Seats aren’t guaranteed at this intimate North County venue, so arriving early is your best bet for a good standing view. A staple in the music scene in most major cities, the House of Blues San Diego is no different. The House of Blues boasts one of the coolest stages in town, and a restaurant that actually has great food. While it has the reputation for booking some of the biggest acts to come through Southern California (and the best sound system), parking downtown can be a challenge; we recommend arriving with plenty of time to find a spot. There is paid parking available, if needed. The standing-room-only venue can get pretty packed, but you can usually skip the line to get in if you dine at the attached restaurant. Located on the San Diego State University (SDSU) campus, this 4,600-seat amphitheater offers great sight lines and good sound in an open-air outdoor space. It is steeply raked, so be careful walking the aisles. 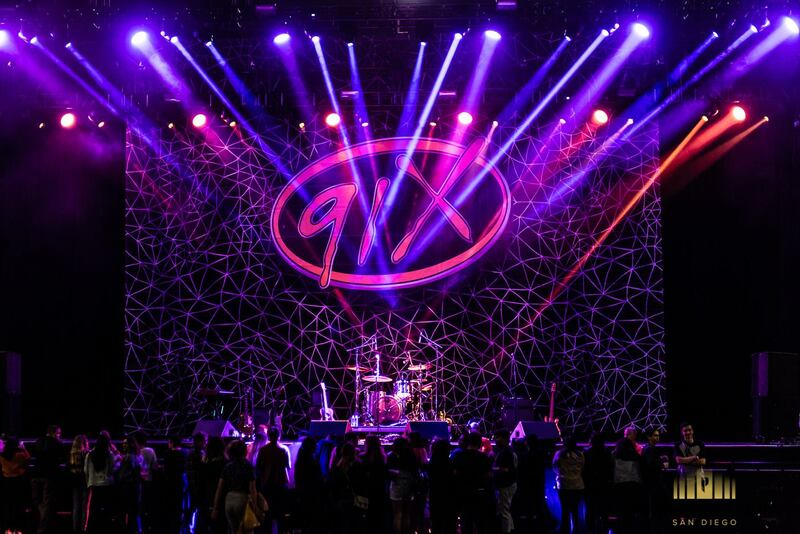 Emerging acts on summer tours are often booked here, and is known for hosting many up-and-coming bands that later turn pro. One thing to note: the cheap seats at the top are concrete and not exactly comfortable, so choose your seats wisely! If you hang outside early enough, you’ll be able to listen to the band do sound checks, which is always a fun bonus. With only 1,400 seats, Humphreys by the Bay hosts fun outdoor performances from May through October, when the weather is ideal for its bayfront location. A San Diego staple since 1982, Humphreys Concerts cover the entire spectrum, from rock and jazz to blues, folk, and even comedy. A few things to note before you go: aisles and seats are tightly packed, and there isn’t much room to move. Bar noise can also be aggravating. We recommend arriving early to secure your seat before the crowds get there. Pro-tip: If you have a boat, you can watch concerts for free from the marina! This giant amphitheater, recently renamed (formerly Cricket Wireless Amphitheatre and Coors Amphitheatre before that) and located in Chula Vista, was a much-needed concert platform for San Diego, enabling a wide variety of mega acts to come to the cit instead of passing up San Diego for bigger concert arenas up north. This 19,492-seat outdoor venue offers ample lawn seating, and the parking lot is ripe for tailgating; the regular seats boast plenty of legroom, too. While traffic access isn’t the best (and the lot can quickly devolve into a total nightmare once the concert is over), it’s a great place to watch your favorite band on a big stage. Large video screens help your viewing if you happen to be sitting behind a tall person. 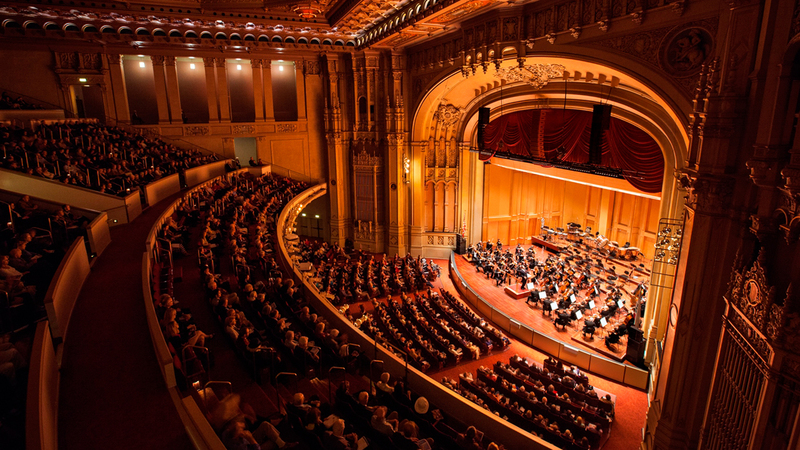 Originally opened in 1929 as the Fox Theatre, Copley Symphony Hall (inside the Joan and Irwin Jacobs Music Center) was recently refurbished and is equipped with state-of-the-art digital sound and lighting technology as well as a full-sized Robert Morton pneumatic pipe organ, making it the perfect home for the San Diego Symphony. More than 39 front row seats are available, with another 2200 to accommodate classical audiences of all sizes. It’s definitely San Diego’s classiest music venue, though its downtown setting means that parking can be quite tricky; especially on the weekends. We recommend taking an Uber, or arriving early and splurging for a paid lot. Also located on the SDSU campus, the 12,000-seat Viejas Arena (formerly Cox Arena) is home to the SDSU Aztec Basketball team and also hosts some excellent events: recent musical acts of note include The Foo Fighters, Green Day, and Trans-Siberian Orchestra. With the stage usually erected at the rear end of the arena, nearly every seat in the house has a prime view, and the steep seat angles offer good sight lines. Although the facility feels more utilitarian than luxurious (it is a stadium, after all), it’s still a fun place for a large group to check out a show on the weekends. Be careful parking anywhere besides the assigned lot – nearby neighborhoods are known for giving out plenty of tickets. After more than 8 years as Valley View Casino Center, the venue changed its name to Pechanga Arena in December of 2018 after a partnership deal with Pechanga Casino in Temecula. With several seating areas, including lower level seating, a Players Lounge, and new entrances, this is a massive arena that hosts big musical acts pretty regularly: Miley Cyrus and Taylor Swift have both recently sold out shows. The building once occupied by Anthology has finally been revived into a three-level, state-of-the-art concert venue. The roomy general admission area holds around 800 (compared to the 300 people they could cram in there way back during the Anthology days), opera booths with bottle service, two outdoor patios, bars on two levels, and a private VIP room overlooking the stage. Rest assured, this is not your typical dark, dingy, sticky-floored music venue! From the second floor mural of iconic musicians’ mug shots by a local artist to the massive organ pipes hanging over the downstairs bar, this concert hall is designed to look as good as it sounds. Encinitas, California is our favorite coastal beach town in North County, San Diego; from historic downtown Encinitas and its walkable neighborhoods to its plethora of great restaurants, bars, shops, and boutiques, there’s no shortage of things to do or activities to try here. One of the things this area is most well known for, however, is its community feel: the town hosts several neighborhood- oriented events throughout the year, including several festivals and outdoor markets. 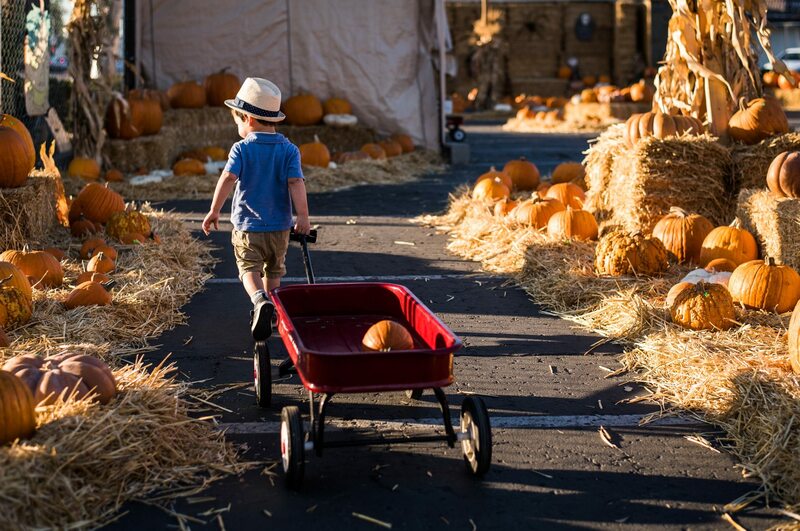 We’ve rounded up some of our favorite Encinitas festivals to check out this year! The Cardiff Greek Festival has been an Encinitas institution for more than 40 years, and every year locals and visitors alike get together to celebrate all things Greek! The event features Greek food from several local restaurants and eateries, award-winning Greek folk dance performances, cooking demonstrations, wine and beer presentations, a specialty Greek Wine Bar, children’s games and activities, a culinary specialty market, and more. Live music performances happen on four different stages throughout the day, and there are several raffles held on both days of the festival (including a popular car drawing). This is a free family-friendly event. Parking is usually available on the street. Now in its 23rd year, the annual Encinitas Oktoberfest is a popular local event. 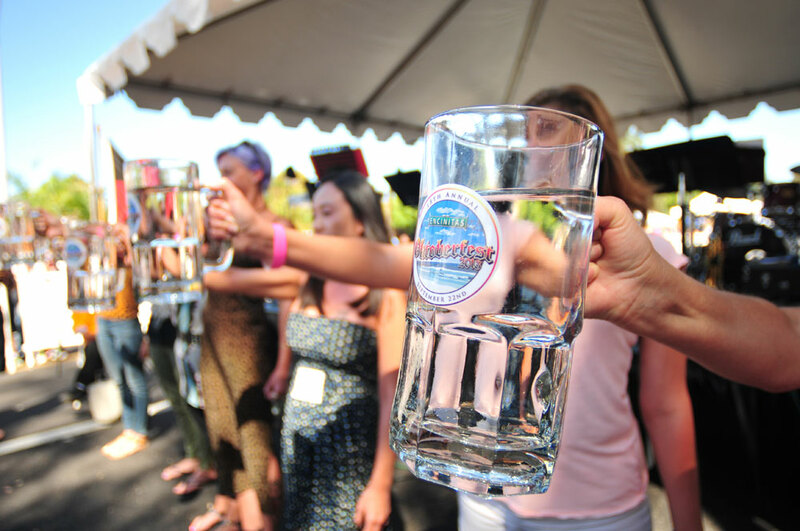 Authentic German music, the Gemütlichkeit Alpine Dancers, carnival rides, and a street craft faire featuring 200 vendors are all a part of the annual Encinitas Oktoberfest celebration! Every year, the event kicks off at 10am and includes a ceremonial parade at 12pm. This year, there is a “Keepin’ it Local” Craft Beer Garden, serving authentic German food and German beers – and, of course, several local San Diego craft breweries including Ballast Point Brewery, Burgeon Beer Co., The Lost Abbey, and Modern Times Beer. This fall event is a local favorite, especially among families; although it’s technically an Oktoberfest, there are plenty of children’s activities, rides, and games to make it a family-friendly fall festival. Art, music, dance, food, and fun come together at the yearly Moonlight Beach Bash! Every year, locals and visitors gather to celebrate with toes in the sand and plenty of activities and fun for all, including local food trucks, High Tide Society headlining the main stage, artist displays and hands-on arts projects, and more talent and arts. 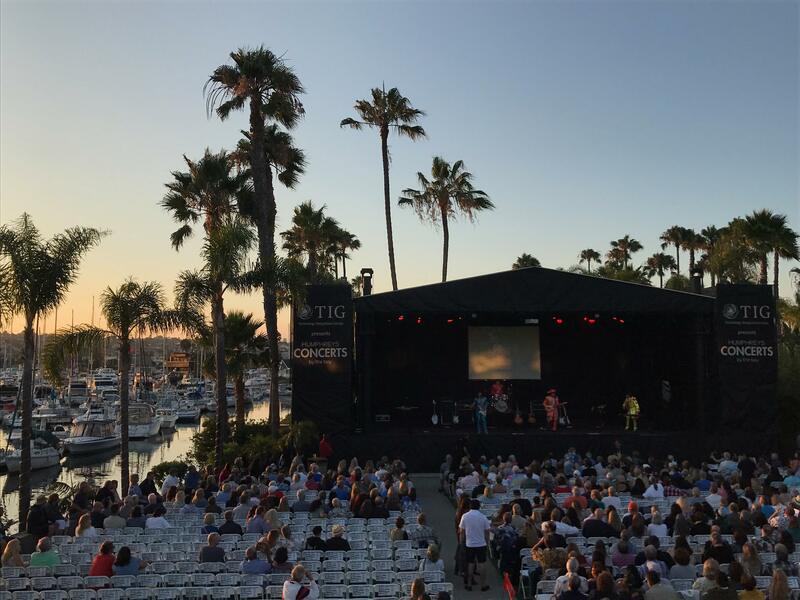 The Beach Bash brings together all things Encinitas: the visual and performing arts, beach culture, and a pop-up arts district. Formally, the Beach Bash celebrates the founding of the city of Encinitas in October of 1986. From sand castle competitions and live art to sidewalk chalk demonstrations and local food truck cuisine, it really doesn’t get more ‘Encinitas’ than the Moonlight Beach Bash! For more information, visit www.encinitasca.gov. 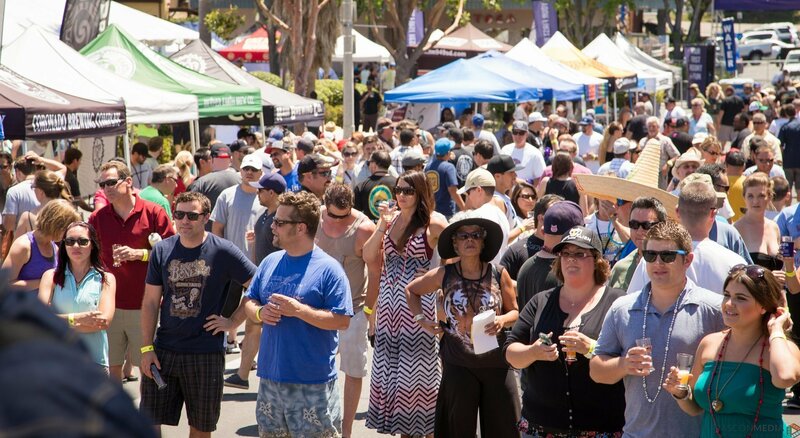 While it isn’t technically Encinitas, the Art Rhythm & Wine Festival in Carlsbad is a huge local event that brings people from all over North County each year. Every third weekend in October, the Forum Carlsbad hosts this two-day open air festival featuring fine art, music, and wine! Celebrating the dynamic art culture in Carlsbad, Encinitas, and surrounding North San Diego County communities such as Del Mar, the festival features hundreds of artists showing their work in mediums such as painting, classical and contemporary sculpture, glass, drawing, photography, metal, mixed media, digital art, printmaking, wood, and fiber. Browse the work of more than 50 artists while you enjoy live entertainment while strolling through The Forum! This annual celebration brings together local and regional talents to celebrate and appreciate an important cultural celebration in Mexico, Dia de los Muertos and offers free family-friendly fun to North County residents and unites people of all backgrounds. Visitors can experience a variety of art-making workshops, artist demonstrations, student exhibitions, and live Mariachi and other musical performances throughout the festival. For more information, visit their website at https://encinitasarts.org/. The Holiday Street Fair is located down the center of six blocks of scenic South Coast Highway 101, two blocks from the Pacific Ocean. Formerly known as “The Fall Festival,” the Holiday Street Fair has happened every year since 1989, and remains a family-favorite among locals to this day. This one-day street fest features several children’s rides, two stages of live entertainment, and food and drink from several local restaurants and eateries. The emphasis is on art, handmade crafts, antiques, and ethnic imports, and all of the vendors are local. Now in its 61st year, Encinitas’ favorite holiday tradition returns each December with more than 100 floats and family fun for everyone. Thousands of people cruise on floats, on foot, in cars, and marching in bands while tens of thousands cheer them along the Parade route along Coast Highway 101. Spectators can claim a good spot to watch the parade as soon as Coast Highway closes at 4pm on the 1st. Followed by a countdown and ceremonial tree lighting, Santa himself will make a brief appearance to kick things off at 5pm at the Lumberyard shops courtyard. The 2018 parade theme is “Botanical Oasis”. Encinitas has a deep history of flower growing, a terrific climate for growing a wide variety of beautiful and interesting plants, and is home to the world-famous San Diego Botanic Garden. In fact, this year’s Parade Grand Marshal is Julian Duval, who has been President and CEO of the SD Botanic Garden for nearly 30 years! Anyone can participate by registering a float in the parade, and several awards are handed out each year to participants. La Jolla has always had a passion for the movies. Throughout the course of its history, eight different theaters have existed in some form or another in the Village, the last being The Cove and now, The LOT (since 2015). 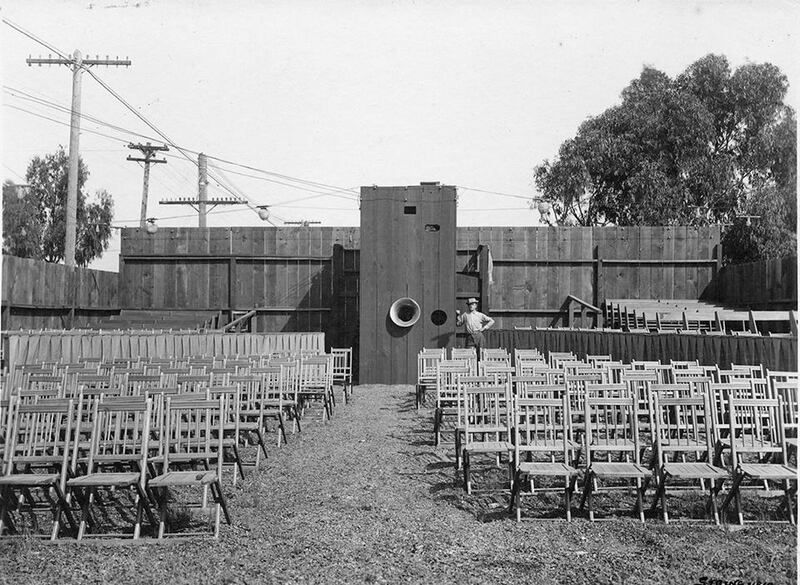 The very first moving pictures shown were at the original La Jolla Cove Bath House in 1912, followed by an outdoor venue that same year. Each of these La Jolla movie theaters had its own personality, and some are definitely more well known than others – especially among longtime locals! We looked into La Jolla’s rich cinematic history and got the story behind some of the oldest movie houses to be built here. The first outdoor cinema in La Jolla. Silent films were turned manually by operator Willis Zader, pictured here. The first moving pictures shown in La Jolla in 1912 were in the auditorium of the bathhouse at La Jolla Cove by local entrepreneur (and apparent movie enthusiast) Willis Zader. In January of that year, a small group gathered, wide-eyed, to witness their very first motion picture lit up on screen; unfortunately, the Edison machine – which lacked a fire shutter – was quickly deemed a fire hazard. The operation was shut down after just two months. Nevertheless, Zader persisted in his personal quest to bring motion pictures to the Village, and in the summer of that same year opened up his own outdoor arena of sorts at the corner of Drury Lane and Silverado Street (pictured above). Although that venue also proved short-lived, La Jolla’s long lasting love affair with movies had already begun. A year after Zader’s outdoor theater shuttered, The Orient opened as a silent film venue at the corner of Wall and Girard. Not much is known about this early theater, but it seated 500 (more than the population of La Jolla at the time) and was purchased by the Stutz Brothers in 1915. They changed its name to the Garden Theater, and it remained so until closing in 1924. In 1914, a rival La Jolla Theater opened across the street on Girard Avenue, attempting to catch the attention of the quickly growing movie audience. Sadly, it closed after just a short period of time; very little else is known about it. 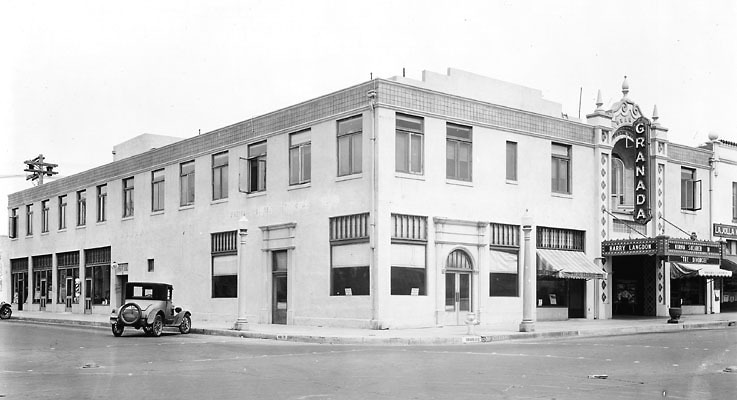 By 1924, one of the previously mentioned Stutz brothers, Louis, decided that La Jolla would now be able to support a larger and more up-to-date theater. So, he abruptly tore down the Garden and announced plans for a brand new theater, to be named The Jewel (very apropos!). By the time of its debut in March of 1925, The Jewel had been renamed (again) to The Granada. Designed by architect William H. Wheeler and built for around $170,000, it was ornamental and lavish in a Spanish-Moorish theme – complete with seats upholstered in the finest Spanish leather and an elaborate pipe organ. A glass crystal bead curtain opened when the movie started, and gold-framed antique mirrors lined the walls of the lobby. It was La Jolla’s finest and most decorative theater to date. With a whopping capacity of 712, it was heralded in opening ceremonies as La Jolla’s “finest playhouse of any city of her size in the land.” (source). Opening night featured “The Boomerang,” a full 70-minute silent comedy/romance starring Anita Stewart and Bert Lytell, a speech by the San Diego mayor, and a totally packed house. In May of 1929, the Granada showcased its first “talkie,” Mary Pickford in “Coquette,” and continued to flourish with top-of-the-line movies straight form Hollywood until finally closing in 1952. By the time the Granada closed its doors in May 1952, the new Cove Theater had been built on Girard, featuring a more toned-down façade inspired by the colonial architecture of the East Coast, and seating around 650 patrons. Though initially financed by Major John H. Haring as a memorial to his parents (and originally named the Playhouse Theatre), it was purchased by the Granada’s owner, Spencer Wilson, and renamed The Cove after just a few months. Wilson, much loved by locals, served as the manager/owner until it closed. 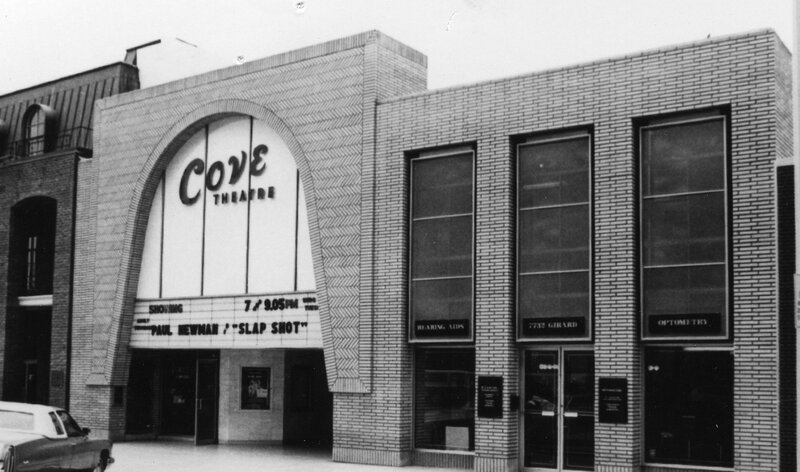 The Cove was a local favorite, and arguably La Jolla’s most well known theater until it closed in 2003; the longest run of any La Jolla movie theater to date. A unique art house and La Jolla’s first real “indie” movie theater opened in 1964 at the corner of Pearl Street and La Jolla Blvd., in the back of a small bookshop called Mithras Bookstore. Seating only about 200, the small space was dubbed the Unicorn Theatre and quickly became known for showing avant-garde and experimental films from all over the world, as well as selections from the silent era and vintage-era Hollywood. Although small and tucked into a somewhat out-of-the-way location (not to mention in the basement), The Unicorn developed a cult following early on, especially among younger residents. 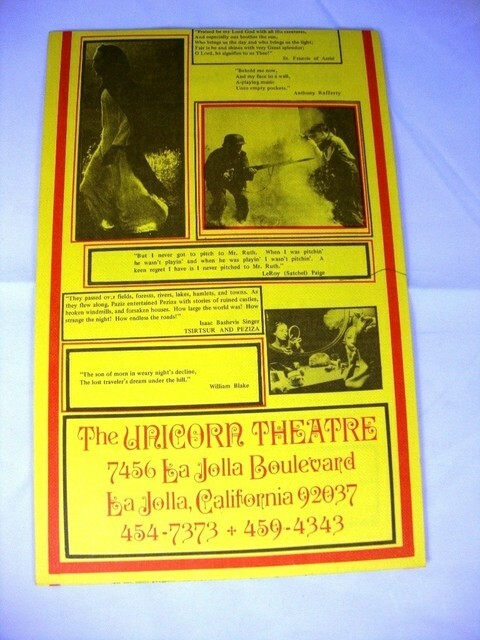 The Unicorn opened with Adolfas Mekas’ “Hallelujah the Hills” and Francois Truffaut’s “Shoot the Piano Player.” It closed about 20 years later with the same lineup, much to the chagrin of many locals! Today’s movie theaters consist of the ones we know and love: ArcLight La Jolla, AMC La Jolla 12, La Jolla Playhouse, and of course, The LOT La Jolla (further up is Cinepolis Luxury Cinemas San Diego). They are much larger and fill hundreds of more seats than the theaters back then; but it’s worth remembering these historic gems! For those looking for a bit of present-day nostalgia, the drive-ins are one of the holdouts when it comes to movies – both the Santee Drive-in and the South Bay Drive-in are popular today (though ticket prices are much higher now!). La Jolla is incredibly proud to host the Farmer’s Insurance Open, a tournament showcasing the best in golf at Torrey Pines Golf Course since the 1960s. 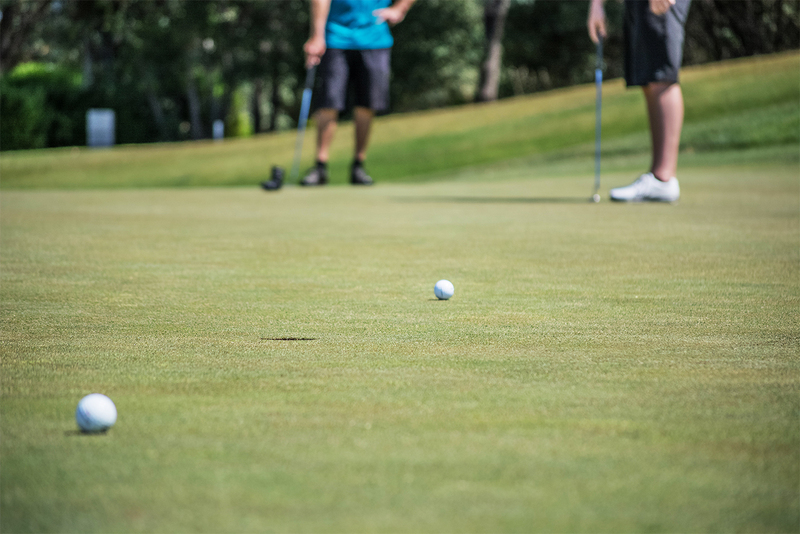 This PGA tournament is famous for a reason, and we don’t want you to miss out on any part of it. Read on to discover how to experience the event and the beautiful city of La Jolla surrounding it to the fullest! This Southern California stop of the PGA “West Coast Swing” tour moved to Torrey Pines in 1968. It’s been a grand event ever since, featuring some of the biggest names in golf. Local San Diegan Phil Mickelson, who has won 3 times, is a big draw. He’s the local boy playing on his turf, so you’ll see a lot of fans and anticipation around him. Then, of course, there’s golf celebrity Tiger Woods. Having won 7 times between 1999 and 2013, he’s been named champion of this tournament more than any other player. Booking tickets is easy and, depending on your allotted time and budget, you can book different numbers of days. 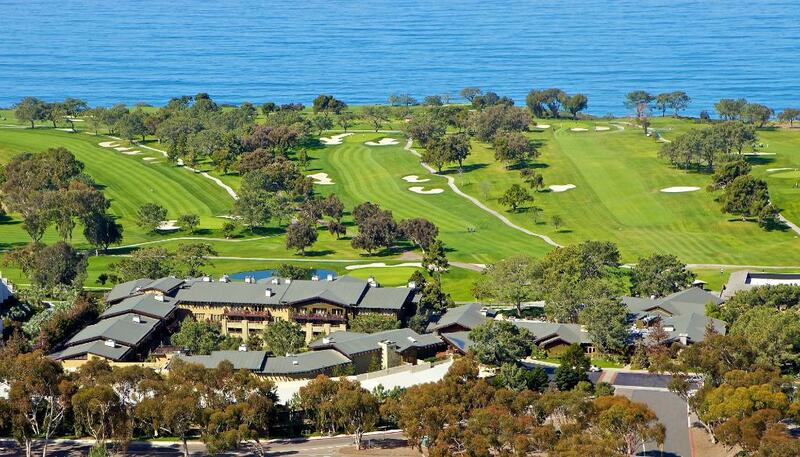 Check out tickets for this La Jolla golf tournament here. Finding a spot for your car can get tricky, but knowing the parking options beforehand makes it far simpler. Did you know you can even purchase your parking ahead of time? Spots do run out, so we highly recommend you reserve PGA golf parking here. Scripps Lot A ($30) & Scripps Lot B ($25) – It’s important to note that each of these are only available Saturday and Sunday, not Friday. Bicycle Lot (Free! ): This is a great option. If you live close enough, cruise over by bike. If you don’t, look into driving somewhere within bicycle distance. Take your bike in the car and head over from there. See the full list of permitted and prohibited items at this PGA tournament link. Once the tournament has come to a halt for the evening, usually around 5 pm, you still have plenty of time in the evening to experience the beautiful La Jolla seaside. Take a stroll by the beach and take in dinner at one of it’s famous restaurants. Learn more about where you’d like to enjoy dinner at our Food Page. Make sure you’re getting a good night’s sleep to prepare for the next day; you want to be well rested for the tournament! La Jolla has many great hotels nearby offering accommodations that are decadent yet laid-back, just like the city’s characteristic atmosphere itself. Learn about our most highly recommended hotels at our blog: La Jolla’s Top 5 Hotels: Why to Book Now. This event brings people back year after year for a reason. Between the great tournament itself and the possibilities of the surrounding city combined, we know you’re going to have a great experience.